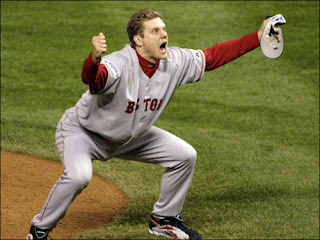 Does seeing Papelbon celebrate ever get old? Of course not!! Is there a better time to be a Boston sports fan than right now? I can’t see it happening. The Red Sox win the Series on the eve of a 52-7 demolition by the Patriots. Not only that that, Boston College is ranked #2 in the country, the Celtics are about to open up a new season with the “Big 3” and the Bruins….forget the Bruins. And, hey ARod, we don’t want you! !